In New Delhi and Mumbai's Corridors of Power and Wealth, the growing split between the government and the Reserve Bank of India (RBI), and especially its governor Urjit Patel, has been the subject of much discussion over the first months of the year. During this time, not only did they not seem to be conspicuous on a whole range of issues, but there was an almost total collapse of communication between the government and the central bank. TOI had published his remarks in his Saturday issue as Frontpage. This has triggered feverish speculation about Patel's fate. Not only is it unlikely that he will receive an extension beyond the three-year term ending next September, but also questions about its survival. Patel did not respond to a message from TOI. 1; and Patel's predecessor did not go to the best terms. In 2018 alone, there were at least half a dozen issues where the two had conflicting views. As the dispute began with the government, which was dissatisfied with RBI because it did not cut interest rates – and even raised them – it shifted into regulation, which the central bank considers to be its exclusive domain. The February 12 RBI circular on the classification of distressed assets and loan restructuring standards was the next focus. The government saw it as excessively hard, and in fact it drove everyone except two state lenders into the red. In addition, the government has insisted that RBI exonerate non-bank financing companies (NBFCs) struggling with a liquidity trap following IL & FS's insolvency. The central bank has refused to play ball. 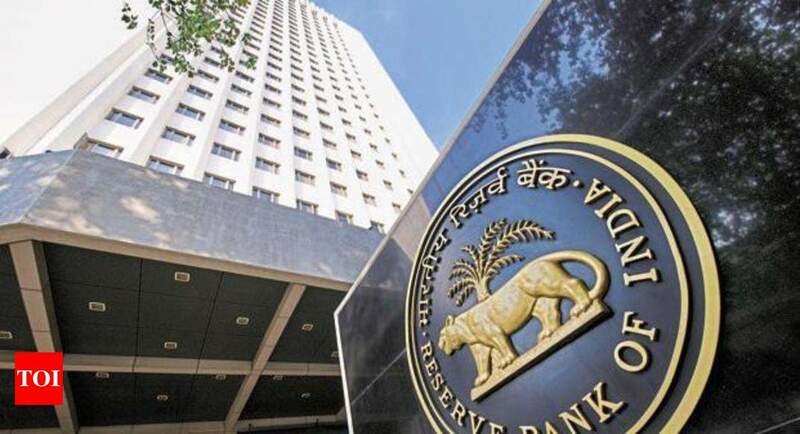 What annoyed the central bank is the way in which Nachiket Mor was eliminated from the RBI's executive board more than two years before his term expired, without officially informing him. On Monday, the RBI Board will meet to discuss several topics in less than a week, which will be the second such interaction. Last week's meeting was stormy for most reports with recently appointed director and SJM activist S Gurumurthy, who intervened with RBI to help small businesses, while government candidates presented a detailed presentation on the need for capital standards in line with global standards instead of making them stiffer. In Saturday's remarks in response to Acharya's response, Finance Minister Arun Jaitley, while not naming RBI, said that regulators need to conduct a broad, high-quality discussion with all stakeholders. "I think for any regulatory mechanism, stakeholder consultation needs to be of a very high quality, which is likely to reintroduce traditional thoughts and opinions, so several regulators are releasing their draft papers or preliminary drafts, they are conducting hearings, meeting with individuals, gathering groups of stakeholders and improving what is said. "As the interest rate hike began and the government angered RBI for its rate hike, it shifted into regulation, which the regulator regards as its exclusive domain. A separate payment regulator was another issue in which RBI publicly commented on why it did not support the move. In fact, it got to the point that his deviating note was published on a separate regulatory authority on its website.